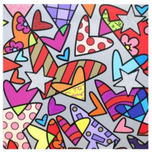 Romero Britto - Free Shipping on Orders Over $250! 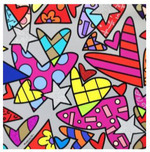 Brazilian-born and Miami-made, Romero Britto is an international artist that uses vibrant, bold and colorful patterns to reflect his optimistic view of the world around him. 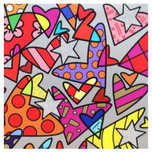 Britto has created a visual language of hope and happiness all its own that is relatable to all, inspiring millions. 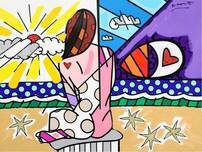 Self-taught at an early age, Britto painted on scraps of paper or cardboard or any medium he could find before coming into his own and traveling to Paris where he was introduced to the works of Matisse and Picasso. His appreciation of these masters influenced him to create an iconic style that The New York Times described, exudes warmth, optimism and love. 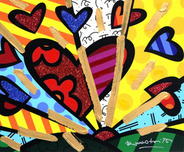 Brittos work has been exhibited in galleries and museums in over 100 countries, including the Salon de la SocieteNationale des Beaux Arts exhibition at the Carrousel du Louvre in 2008 and 2010. 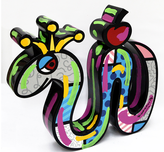 In 2013, Maria Elena and Carlos Slim Domit invited Romero to be the first living artist to exhibit at MuseoSoumaya. He has created public art installations for the 02 Dome in Berlin, New Yorks John F. Kennedy Airport, Cirque Du Soleil at Super Bowl XLI, and has been credited with the largest monumental sculpture in Londons Hyde Park history. 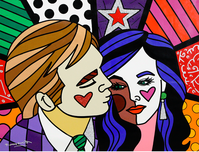 Britto served as an official artist for the 2010 World Cup, Ambassador to the 2014 FIFA World Cup Brazil and was recently invited to be an honorary torch bearer for the Rio 2016 Olympic Games. 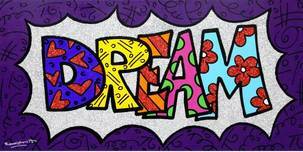 Brittos pop sensibility has since leant itself to many collaborations with international brands such as Audi, Bentley, Coca-Cola, Walt Disney, Evian, Hublot, and Mattel to name a few. 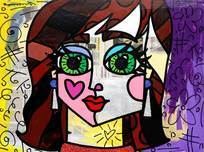 Romero is an activist for charitable organizations worldwide and most of all an artist who believes art is too important not to share. 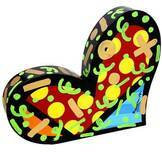 Britto has donated time, art, and resources to more than 250 charitable organizations. 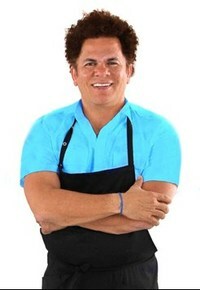 Not a silent activist, Britto was a selected speaker for the arts at the World Economic Forum in Switzerland. 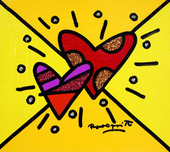 In addition, Romero Britto is proudly an Inaugural Founding Benefactor of the Harvard International Negotiation Program. He holds a seat on several boards such as Best Buddies International, and St. Judes Childrens Research Hospital, and was recently appointed to the board of HRH The Prince of Wales charity, The Princes Trust. 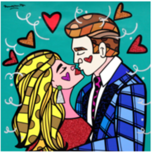 A believer in the role of an artist as an agent of positive change, Romero Britto is committed to developing and supporting the role art will continue to play in world issues. Party Time "Dancing Boy" - Hand Embellished!